One of the most important lifestyle changes which can positively impact your health and weight is eating a healthy diet. As you begin to change your eating habits the prospect may seem overwhelming at first. 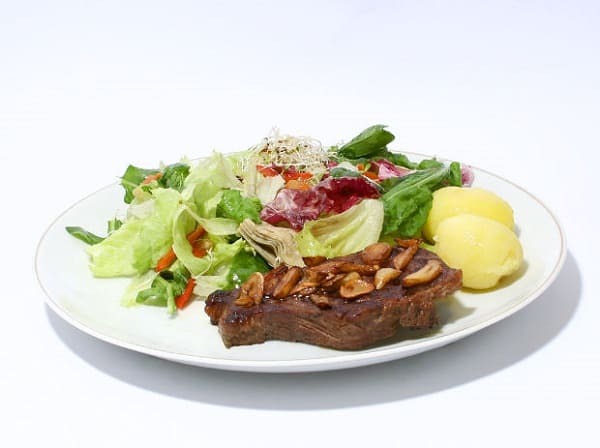 However, if you work to ensure that your diet includes a variety of flavors and textures while incorporating fresh fruits and vegetables along with whole grains, lean proteins, and low fat dairy options you might find that you are enjoying your food and your increased energy levels making it worth the effort. Often people think that eating a healthy diet is an all or nothing proposition. However, this is not the case. Instead of thinking about food in terms of absolutes one should apply the principle of moderation. When you use moderation in your diet then nothing is considered off limits. If you crave food that isn’t strictly healthy use portion control and allow yourself to enjoy your favorite foods in moderation. Reducing and eliminating processed foods high in refined sugars, refined grains, and unhealthy fats is one of the best steps you can take towards implementing a healthy diet. Processed foods are laden with empty and unhealthy calories. It is important to focus on eating foods which provide the vitamins, minerals, and nutrition that your body requires for good health. By reducing or eliminating these foods from your diet you decrease the calories consumed since you replace them with fresh and healthy alternatives. Adequate water and fluid consumption is important for proper hydration and good health. Your body is not able to function at its best unless it is properly hydrated. According to the Institute of Medicine, men should consume approximately 13 cups of fluids daily and women should consume approximately 9 cups of fluids daily. Water is the best choice for hydration and healthy eating as it is free of calories. By eating a variety of fresh fruits and vegetables you ensure that you are consuming the full array of vitamins and minerals available from natural foods. The concept of eating a rainbow daily is especially helpful in ensuring that you receive adequate nutrition from your foods. Eating a rainbow is a reminder to eat fruits and vegetables of each color daily. Various colors of fruits and vegetables provide different vitamins and minerals. Also, through a healthy diet rich in fruits and vegetables you ensure that adequate fiber is consumed which is important for weight loss and colon health. When focusing on eating a healthy diet it is important to learn to eat for nutrition instead of comfort. Food is often used as comfort and to soothe emotions. However, this is an unhealthy practice which often leads to weight gain. In order to successfully achieve healthy eating practices it may be necessary to first understand the problems or issues you have with food. Then work to exchange negative eating habits with positive and healthy habits.